We went to Eveleigh farmers market on Saturday for the first time in a while and boy was it packed. It was still full of amazing produce and we managed to take home a nice array of tasty things with which to make a three course dinner for four. 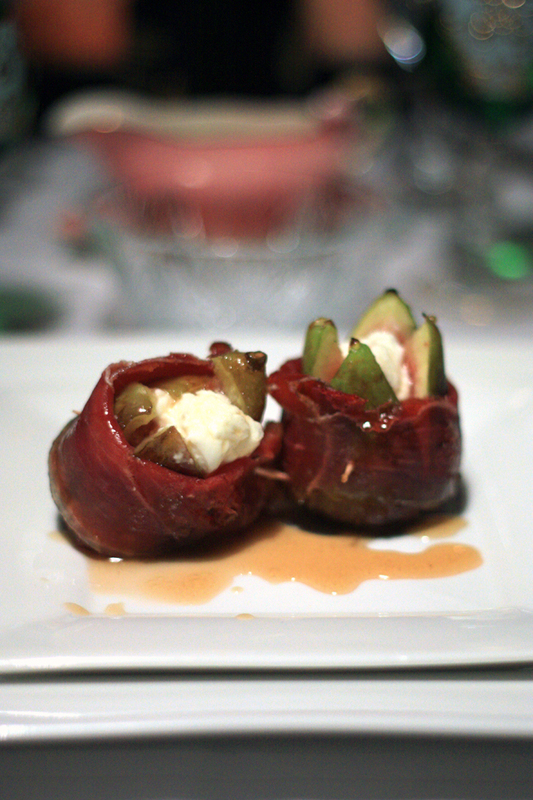 First course was figs stuffed with a beautiful, neutral flavoured, silky chevre from the markets wrapped in prosciutto, lightly grilled then drizzled with warm honey. We grabbed the prosciutto from Deli on King where we also grabbed some of ‘Australia’s best bacon’, amazed that we were not previously aware they sold this. 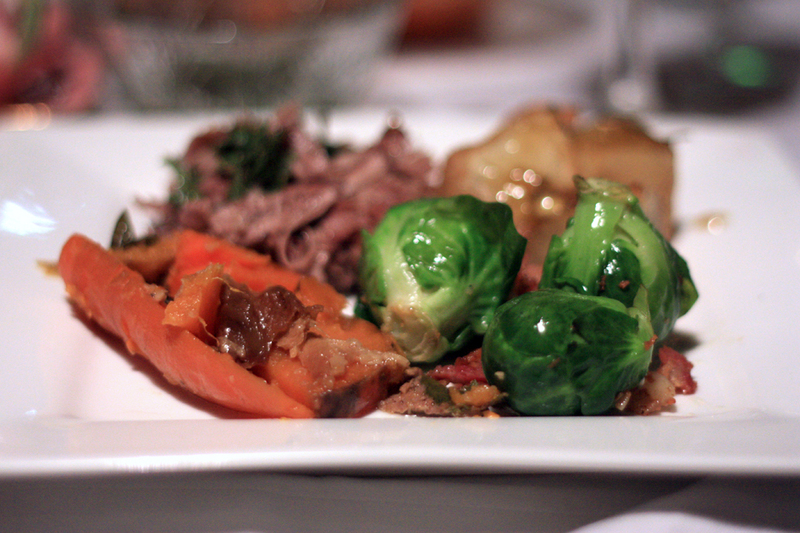 Main course was salt bush lamb roasted with garlic and rosemary for 6 hours accompanied by sweet potato, carrot, steamed brussel sprouts sautéd in bacon and potato roasted in duck fat. It was a wet and windy day so it was a lovely meal to kick off Autumn. Warm and comforting. If you’d like to read more about the wonderful ethical farming practices and awesome flavour of salt bush lamb click here. 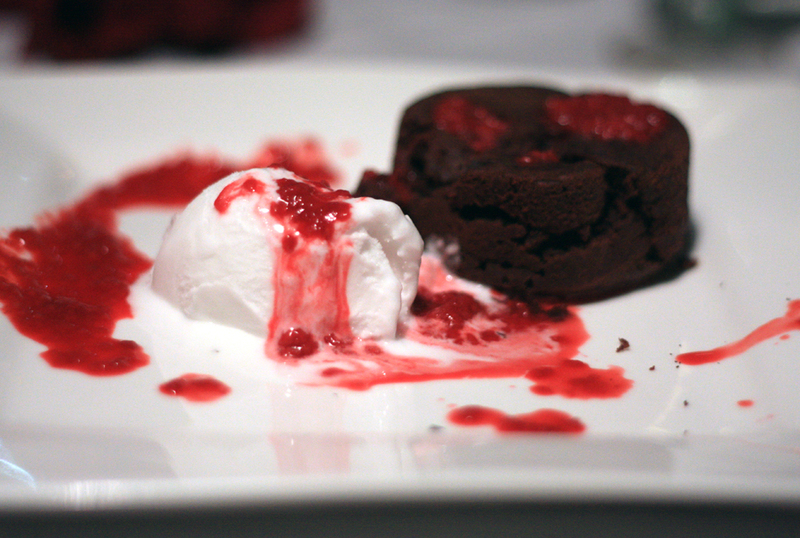 For dessert I made chocolate pudding which I have posted on here before and served it with home made raspberry sauce and coconut sorbet. A lovely vanilla gelato would have been my first choice but we had a lactose intolerant guest so the sorbet was the perfect solution.